Why, hello there! 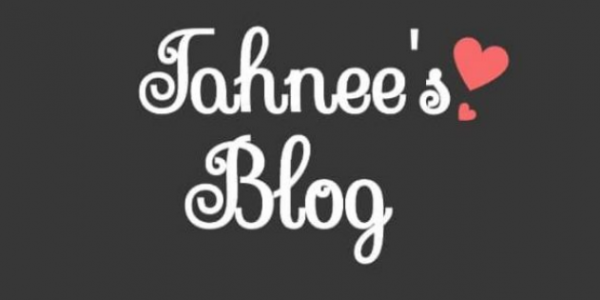 Welcome to Tahnee’s Blog! I say that because it seems our number of readers are growing! This makes me so excited so as a big thank you, also, I am aiming for one giveaway a month this year. You can win a couple of Valentine’s gifts. It is the month of love after all. My partner and I don’t actually celebrate Valentine’s Day with gifts, cards or anything material that’s being flogged this time of year. We do, however, make it a day where we put aside the technology for an evening. We have a nice dinner, light some candles and just be together. In such a busy world we sometimes need reminders to stop and spend some time. This is how we see Valentine’s Day. That’s not to say you shouldn’t go all out if Valentine’s Day is your holiday! I go all out on Halloween, Easter, Christmas and the list goes on! One of the best gifts that you can win or give for Valentine’s Day is of course jewellery. Always such a nice gift to receive as well. You can add it to old looks to really shake it up and change it. Plus the time it takes to pick out really shows that your someone special has really thought about it. Or they’ve seen something and thought of you and that is what really counts. This large key necklace is a great addition to any outfit for so many reasons. Quirky and unusual it will add a focal point any outfit. This would be a great gift for Valentine’s Day or even give away to someone else a gift if you do win (click the share button and tag them on social media). Next, we have a double bubble. This Valentine’s Day necklace is Guardian Angel Wings. One for you and for your real life guardian angel. Share it with your best friend, mother, daughter or sister. Whoever it is they will love to know how special they are to you. Don’t worry we’re nearly at how you can win. The final necklace is the Key to My Heart necklace and again is such a lovely necklace. The two charms are just that, really charming. Very delicate and light it is a great Valentine’s Day inspired necklace. Now we can move onto how you can win these Valentine’s gifts from me to you. That is it my lovelies. That is all you need to do to be in with a chance of four gorgeous goodies. Just remember to follow the steps above and you can win! Check out my social media pages where people are starting to post pictures of their Tahnee’s Blog wins. This giveaway is worldwide so anyone and everyone can enter. It will run from today 02/02/2018 until 16/02/2018. Where I will, as always, Facebook Live draw the giveaway so you know there’s a real chance that you can win. Until then let me know in the comments what you’re up to this Valentine’s Day, do you have plans? I’d love to hear them. I would split it with my Nanna, she’s guided me and been my angel my whole life. I would split it with my partner Claire. I’d split mine with my granddaughter who would love the idea! I’d split mine with my mum. She is my guardian angel in real life as she always watches over me and helps me in times of need! I would split mine with my bf Charles Smith, so we will always have a piece of each other no matter where in the world we may be. I’d split mine with my mum. She’s just had a heart attack and major heart surgery (on my birthday), but pulled through and is now recovering. With my mom, who is selfless and loves beautiful things, but NEVER buys anything for hersel! My Guardian Angel of a friend Libby, who is there for me without judgement and can make me laugh even when I’m having a bad day. My mum, she’s been though alot and doesn’t believe enough in herself. So I’d like to show her she’s special and important to me. Very cute! Probably my sister or best friend! I would share with my besties! They are gorgeous necklaces! I would share mine with my granddaughter she’s 15 and a guardian angel would keep her safe.